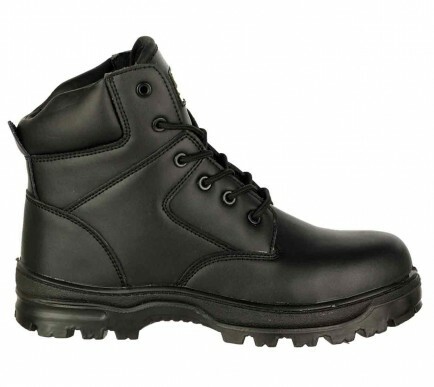 The FS006C is a non-metallic boot with composite toe and midsole protection to S3 Categorisation. The smooth action leather upper is water resistant whilst it also has a padded collar. The dual density sole is antistatic and slip resistant whilst offering heel energy absorption. Bought for husband for work a few years ago, worn them loads and the sole has gone a bit so needed a new pair for wet days. He is really pleased with them and would defiantly recommend them. Says really comfortable and good value.